Home » Search Engine Optimization » Are You Wearing the White Hat? Are You Wearing the White Hat? Digital marketers wear many hats. They keep the social media channels running, send out email blasts, try to generate leads through their website, and continuously work on getting said website found on search engines. You’d think that the color of those hats doesn’t matter, which is true except for one point: in search engine optimization, it’s absolutely crucial for you to wear the white hat. the usage of optimization strategies, techniques and tactics that focus on a human audience opposed to search engines and completely follows search engine rules and policies. “That’s obvious,” you may think to yourself. “Of course I won’t intentionally break the rules and risk penalties.” But even taking aside the fact that plenty of marketers have done just that simply for higher rankings, that sentiment is ignoring an important in-between area. In fact, grey hat practices such as purchasing links or “cloaking” text within an image-based site may not technically break the rules (link buying is legitimate for advertising, but not for increasing site popularity), but aren’t entirely ethical either. So you should always be sure to wear the white hat in SEO. Why? Because if not, you risk penalties in the present and future. Google consistently releases new algorithms designed to “clean up” SEO, penalizing practices such as cloaking and link buying. It’s now decade-long process can best be described in one sentence: it wants sites to rank highly for their true relevance to consumers, not the savvy of their SEO specialists. As a result, the internet is full of case studies showing companies losing significant traffic because of algorithm updates. These sites may have conducted entirely legitimate (but borderline unethical) practices, but once these practices became illegitimate, they were hammered with penalties. In short, the best way to keep your website healthy, full of traffic and out of the penalty zone is to create an informative site that’s helpful for consumers. Does that make search engine optimization superfluous? Not in the slightest. 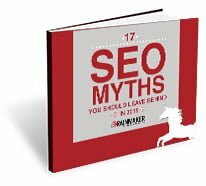 But rather than artificial link building and thin pages that exist for the sole purpose of long-tail keywords, building a site with value should be at the forefront. If your site has been affected by an algorithm update, or if you just want to make sure you’re wearing the white hat, don’t hesitate to contact us!